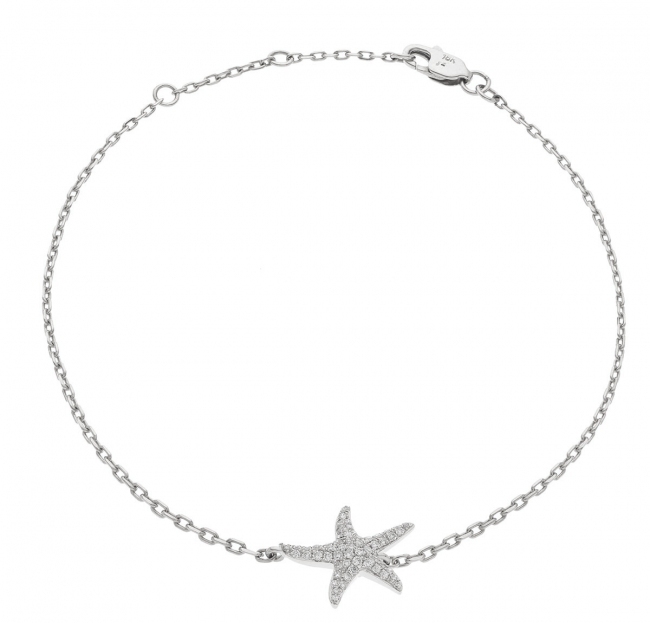 This beautiful bracelet features a solid 18k white gold chain with a centre starfish pendant and a sturdy lobster claw clasp. Pave set with 0.25ct of quality G/SI1 round cut diamonds set into solid 18k white gold. 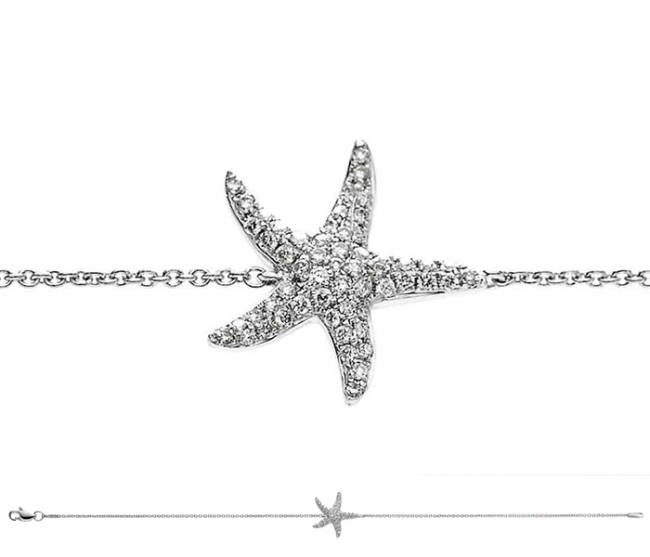 Chain has three adjustment lengths to find your perfect fit. Delivered free with luxury packaging, authenticity certificate and a 12 month manufacturer backed guarantee.